Sign up and receive Property Email Alerts of Houses for sale in Paarl Central West, Paarl. 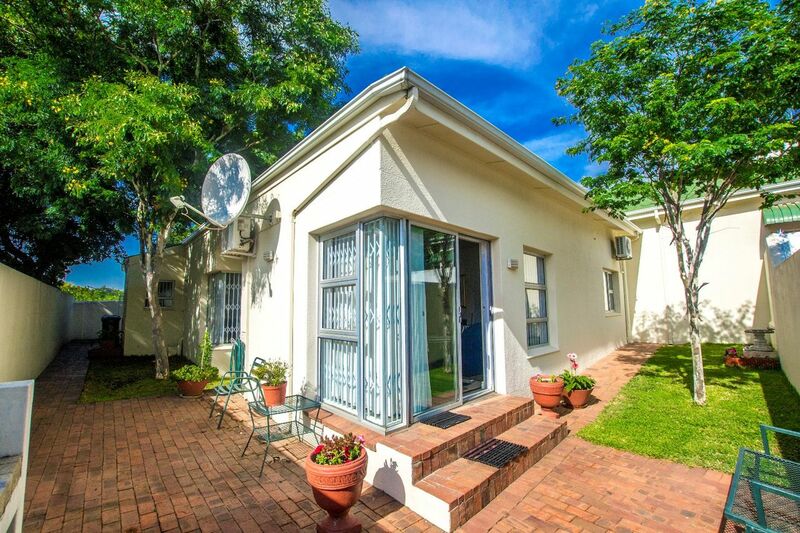 This immaculately maintained two bedroom town house, is situated in the heart of Paarl - Bergzicht, a peaceful, leafy avenue of Bergsig Steet. This is such a desireable address as this property is part of a secure, intimate 8-unit gated community, whereof only 3 two bedroom apartments being build. A great investment opportunity. Aesthetically pleasing, and most gracious in style and layout, with open-plan living and dining area that leads to the private manicured garden. Two spacious bedrooms, carpeted with built-in cupboards, and en-suite bathrooms. Easy access from the automated, garage to the house, and space to utilize as an extra car port/parking bay. This property is one to celebrate, far enough to be private yet close enough to be connected. Sign-up and receive Property Email Alerts of Houses for sale in Paarl Central West, Paarl.